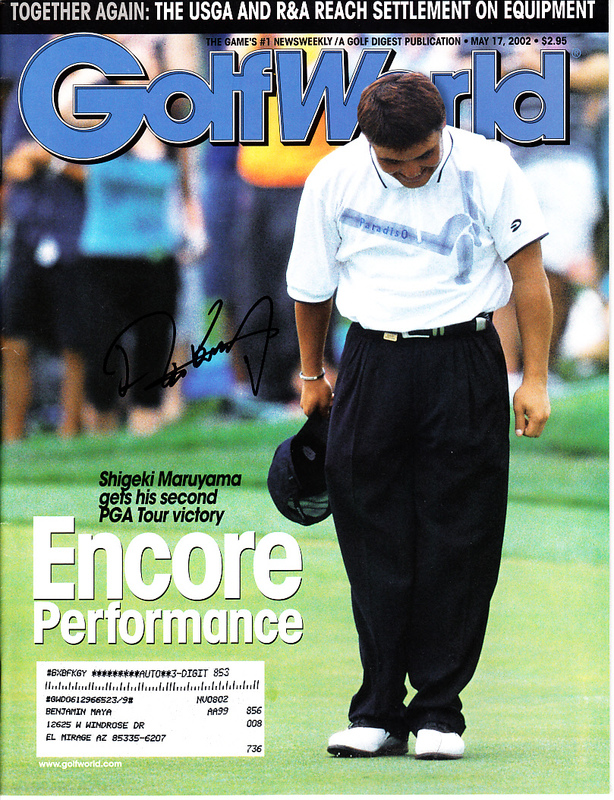 2002 Golf World magazine autographed on the cover in black marker by former Japanese PGA star Shigeki Maruyama. NOTE: back cover has clear tape along all four edges. ONLY ONE AVAILABLE FOR SALE. Obtained in person. With certificate of authenticity from AutographsForSale.com.